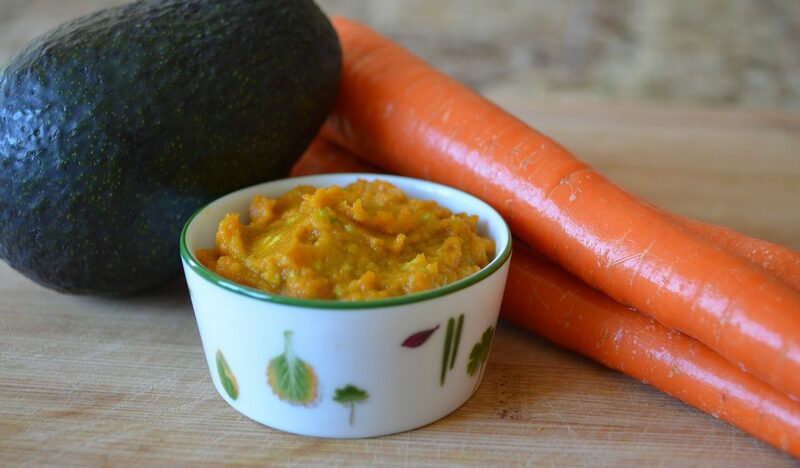 This carrot and avocado baby food recipe is a delicious meal for your stage one eater. Packed with Vitamin A, K and C, potassium and good fat. Avocados are one of nature's superfoods. They have nearly 3 times the amount of potassium as bananas and are high in the antioxidant Lutein, which promotes healthy eyes and skin. Carrots are incredibly rich in Vitamin A (also great for your baby's eyes) and disease-fighting antioxidants. 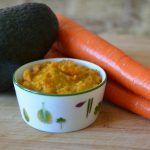 If you're looking for a puree that's good for your baby's developing eyes - this is the one! Suitable for babies 4 months and up. Always make sure your baby's food is a consistency he can handle and temperature check before serving. Pour water into a pot until it is about 2 inches deep and bring to a boil over high heat. Place the carrots into a steamer basket and place the basket into the pot. The water should not touch the bottom of the basket. Cover and steam for about 7 minutes, until the carrots are easily pierced with a fork. Place the carrots into your Sage Baby Puree & Blend food processor with the avocado and pulse until smooth. Add a little breast milk, formula or water while blending the carrots to help achieve a smooth consistency. 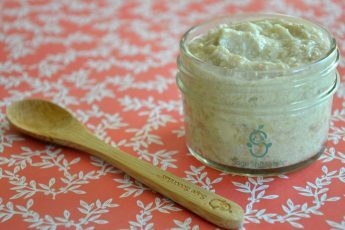 When stored in Sage Spoonfuls jars or Sage Squeezies, this puree will stay fresh for 1-2 days in the refrigerator and up to 3 months in the freezer. Some discoloration can be expected.